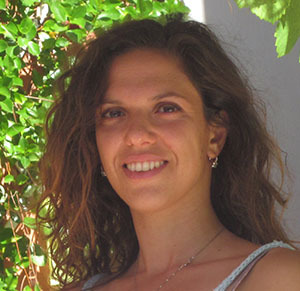 Milena Belloni's dissertation entitled: ‘Cosmologies of destinations: roots and routes of Eritrean forced migration toward Europe’, was defended at Doctoral School of Social Sciences, University of Trento in November 2015. The award ceremony will take place during the upcoming IMISCOE conference in Prague, on Thursday June 30th. It is now possible to pay your (registration) fee with your VISA credit card or with IDEAL. After a full round of applications, the PhD workshop at the Prague conference will consist of around 45 participants from all over the globe. There are sessions planned on PhD initial and advanced stages, about publishing and teaching for PhD candidates focussing on migration and integration studies. Currently, the PhD Network and Workshop Committee are finalizing the last steps to make sure that PhD’s attending the IMISCOE conference in Prague have a wonderful and interesting workshop, addressing PhD related issues. 30TH ANNIVERSARY OF MIGRINTER "THINKING MIGRATION TO RETHINK THE WORLD"
IMISCOE WEB DIRECTORY. The IMISCOE Web Directory enables visitors to perform detailed searches in order to obtain information on individuals who participate in Europe's largest network of scholars in the area of international migration, integration and social cohesion.